The last scheduled post from Thailand is my experience on a day trip to elephants while in Thailand. It has been a while already since I came back from my holidays, but still have lots of memories and pictures to share with you. Still have 2 videos to work on to upload on Youtube! So stay with me for more informative and visual insights! 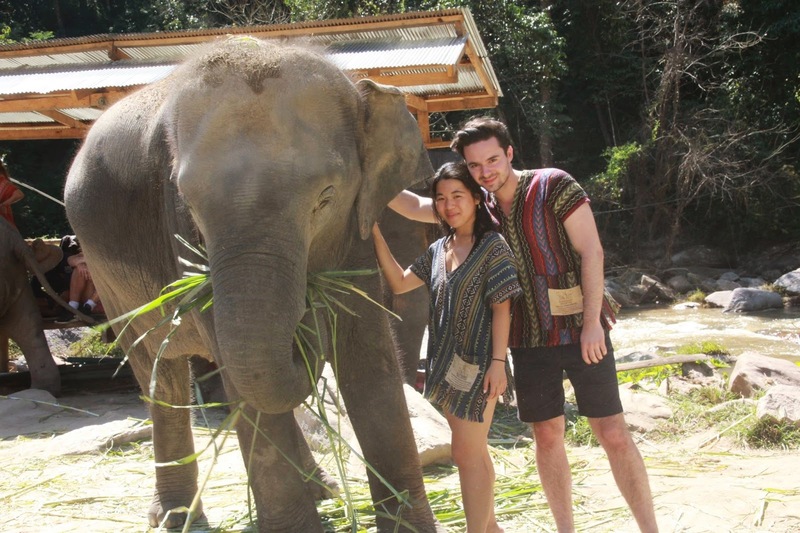 If you are travelling up north to Thailand, to Chiang Mai specifically, you should not miss your opportunity to make either half day, full day or even couple of days volunteering on the elephants sanctuaries. 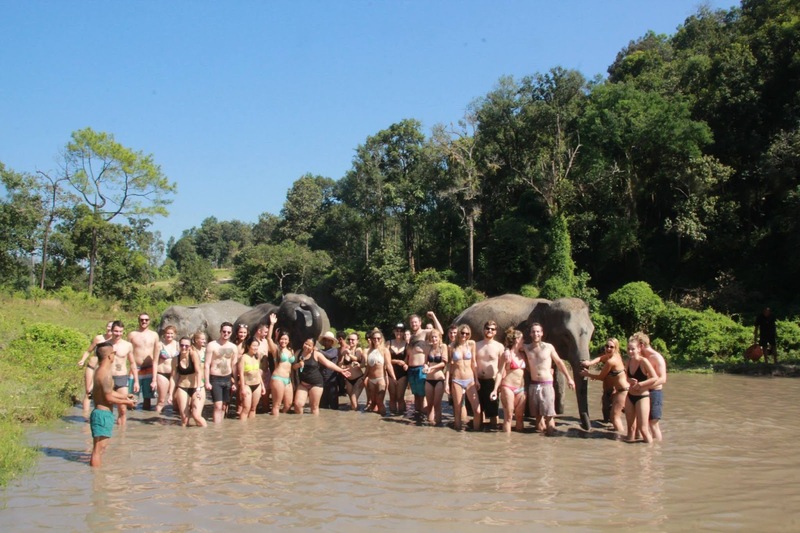 We have booked our full day trip through Elephant Jungle Sanctuary and the whole trip was nicely organized! While researching on other places where to visit elephants, a lot of the places were really booked months before! So make sure to make you plannings and bookings in time. The experience is very memorable and joyful. As you are spending the whole day with elephants, bathing them, having a mud spa with them or feeding them, the whole experience is managed by the lovely people on the camp. We were nicely welcomed and together with other people on this tour we had a great fun out. This camp has a strict "no riding" rule and I totally understand the ethics of it. Make sure to bring your towel, swimsuits, sun glasses, sun cream and camera of course! However, they do have their own photographer on place to take pictures for you too! Oh, and I forgot to mention that if you are booking the tour online, you will be getting to keep those nice tribe t-shirts that everybody is wearing on the day!